Selfie sticks are pretty cool we suppose, but we've always felt like they are missing something... something to make them awesome. While considering that, we received a press release about a new fun gadget that combines a selfie stick with a microphone. 'That's it! ', we declared. 'Our selfie sticks were missing the ability to turn us into pop stars!' Fortunately that has been fixed by the SelfieMic. The Selfie... what? 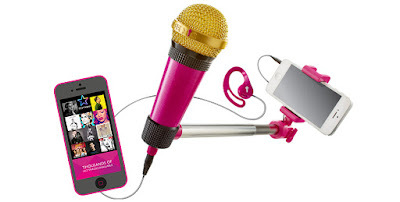 Well, the SelfieMic is a combination selfie stick (for taking pictures of yourself with your own phone) and microphone, and, used with the product's smartphone app, essentially makes it a mobile hand-held karaoke machine. That's right – best invention ever or what? To use it (in all it's pink wonder) simply download the appropriately named StarMaker app, available for both iOS and Android. Then clip your phone into the SelfieMic's clamp at the end of the telescopic pole (it can accommodate phones as big as an iPhone 6 Plus, FYI), and plug the jack into the headphone port. 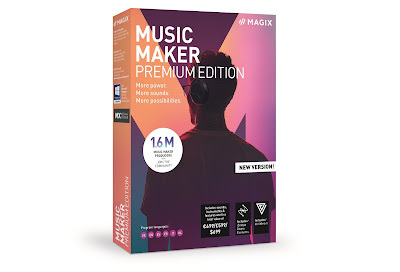 You then have a choice of songs you can sing along to, and thanks to the included voucher code, you can download a bunch of famous songs for free. Then pop in the earpiece so you can hear the backing track, hit play, and the words will pop up on the phone's screen for you to sing along to. Obviously all this will then be recorded by the phone's camera, allowing you to save your award-winning performances and share them to social media. Oh, and if that sounds a wee bit mundane, you can also apply filters and effects to your video, to make them more... erm... effect-y. And then you just go nuts. 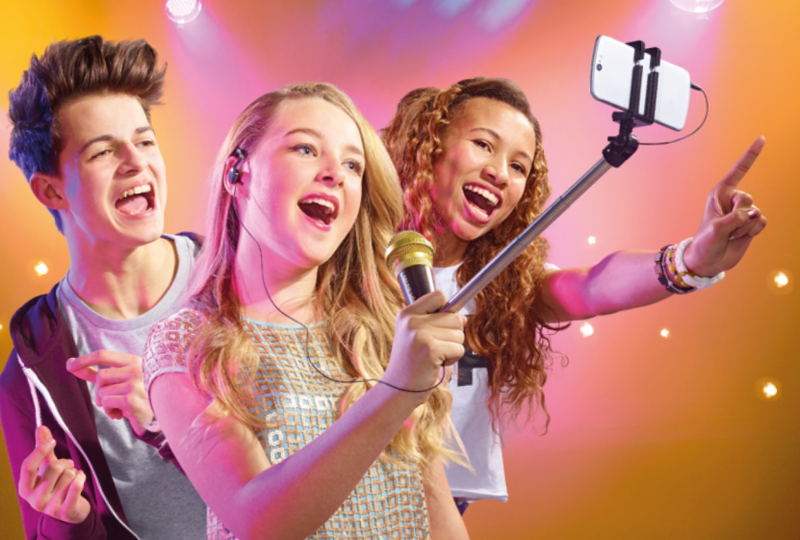 The whole thing, even with phone attached at the end, is well balanced and easy to grip for long periods, so even younger kids will be able to belt out a few choice tunes. We love the general design idea behind this, and as the selfie stick arm extends from the base of the microphone, when you first start watching a video recorded using it, it's hard to tell how it was filmed – you can;t see the pole. Believe it or not, but resulting videos actually look quite professional, depending on the quality of your phone's selfie cam. A great idea, a well-made and rugged device, and an easy-to-use and good looking app, goes together to make this a lot of fun.